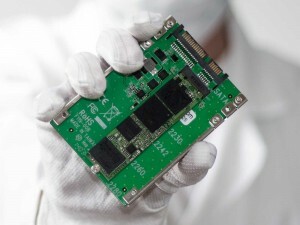 SSD Data recovery in Brussels, Belgium. While each individual data loss is unique, recovering data from a failed or damaged solid-state drive is definitely a job for the experts. And at Belgium Data Recovery we have data recovery engineers with experience in carrying out even the most complicated operations. Our extensive track record speaks for itself – over the last 10 years we have successfully recovered data from all types of hard drives, constantly investing in cutting-edge tools and techniques so that we can help you retrieve your lost data from SSD devices. Our specialized clean room data recovery laboratory is at your disposal, and our team of experts is always ready to spring into action to recover your lost data as quickly as possible. As a leader in SSD data recovery, we are proud to offer the fastest data recovery times in the industry, with transparency and simplicity in our customer communications throughout the entire process – yet we never compromise data integrity. Because recovering data from solid-state drives isn’t something just anyone can do. SSDs are designed for improved performance and durability, and consequently they are rapidly replacing traditional hard drives in many commercial and home applications. 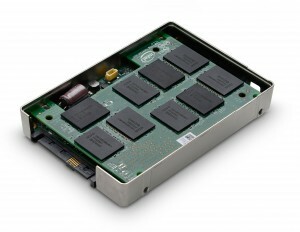 Although initially more expensive, these flash-based drives offer users better performance in combination with lower energy consumption and more efficient heat dissipation, and consequently a lower Total Cost of Ownership. Yet just like other storage solutions, solid-state drives can fail. Many of the same causes of data loss – viruses, hardware or firmware failure, and user error – affect flash-based storage devices just as they do traditional HDD. We have significant experience of dealing with the challenges represented by solid-state drive failures. If your SSD fails or you notice that files are suddenly missing, the most important thing you can do is to stop working immediately so that the data loss doesn’t become even more severe. Then contact us, and our expert data recovery team will quickly begin the process of getting your data back – and you back on track.